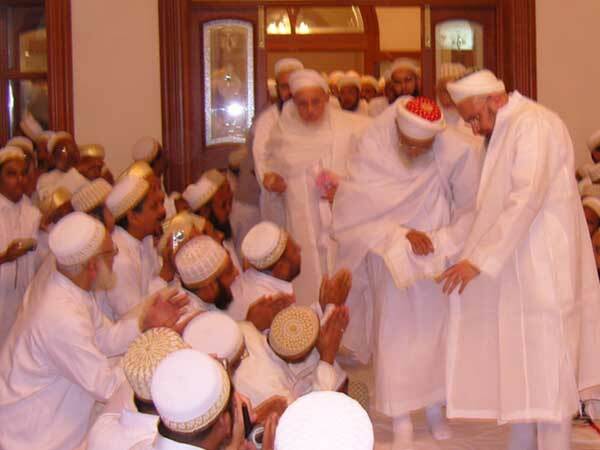 Dawoodi Bohras have been an intrinsic part of the state’s and city’s fabric for over several decades. Small wonder then that a Dawoodi Bohra masjid was built as early as 100 years ago by a community member, Shk. Mohammed Shk. Hasanali. A new foundation was thus laid when Dr. Syedna Mohammed Burhanuddin (TUS) visited Hyderabad in 1993, and a newly resurrected masjid was inaugurated in 2007. The new masjid is contemporary in its comforts and conveniences, but bearing the traditional FatemiAasar that are the hallmark of every building of the Burhanuddin era. Inaugurated in the year 2000, the Husaini Masjid in Secunderabad is placed restfully along the banks of a small lake. It is also the place around which aBohra housing development is centred thus fulfilling its role as a centre for community activities.